In global IBus Preferences, under the "General" tab you can change keyboard shortcuts for turning on or switching input methods, make the candidate list vertical or horizontal, and so on. In the next tab over, you can select or remove input methods, which I covered on the 9.10 input methods page. 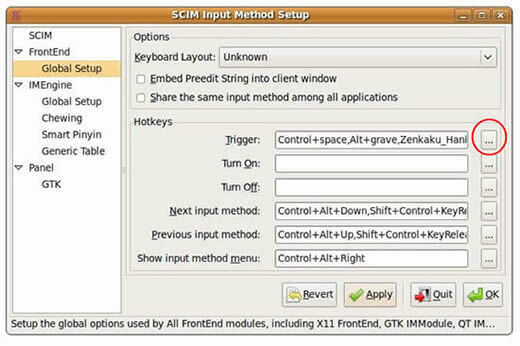 Want to replace IBus input methods with SCIM in Ubuntu 9.10? Here are instructions from Samiux, the blogger I quoted on my 9.10 input methods page. If you have already followed my Ubuntu Chinese setup instructions for an English system, then you only need to follow his "Step 3". (Warning: this is Linux command line stuff.) Add SCIM to Ubuntu 9.10. 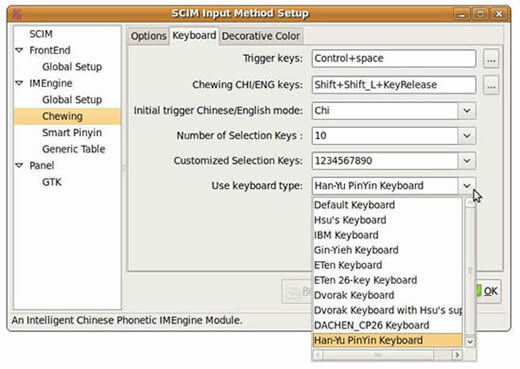 SCIM input method preferences, including hotkeys, keyboards and other features can be found in the SCIM global settings control panel. 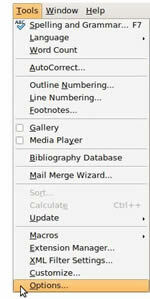 ...or in the System menu click "Preferences" and then "SCIM Input Method Setup". 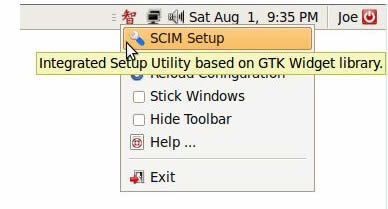 (In the Ubuntu Netbook Desktop, click "Preferences" at the lower left and you will find "SCIM Input Method Setup" icon at or near the bottom of your screen). Following are just two examples of what you can do here, answers to the two most common questions I'm likely to receive. After clicking "OK", if you have an input method open you must close SCIM before any changes will take affect. Usually this is as simple as exiting OpenOffice and then reentering the program, no reboot required. Again, you must close SCIM before any changes will take affect if you enter these settings while you have an input method open. Usually you can just exit OpenOffice and then reopen the program, no reboot required. I prefer using the Smart Pinyin (智能拼音) input method, and I think you'll find the preferences settings for that one self-explanatory but if you need help with this or anything else just contact me. I'm no Linux expert but I'll do my best to help you figure it out. 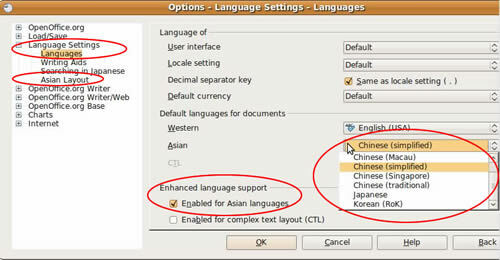 OOo Asian language features are usually enabled by default after installing Ubuntu Chinese features. In earlier versions I'm told this was not the case, and you had to set this all manually. 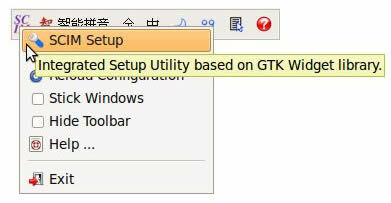 To get there, in OpenOffice go to Tools > Options > Language Settings > Languages. No matter what else you do, make sure the box next to "Enabled for Asian languages" is checked and that you haven't accidentally unchecked it while you were in there. You may want to adjust the settings I've circled here, and you certainly may also want to click around and explore this further. Other settings for Asian typography, search options and sorting are hidden elsewhere. 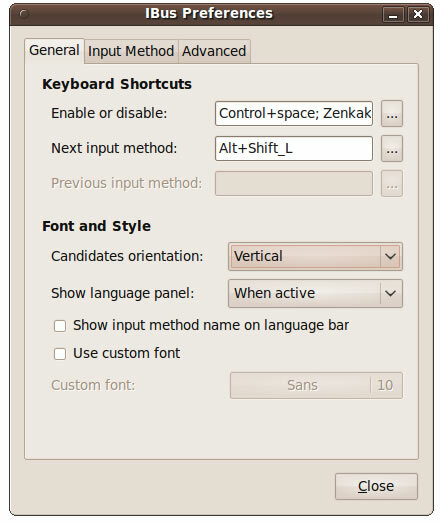 I've provided brief descriptions of these and the vertical text feature at the bottom of the previous page on Ubuntu Chinese fonts and OpenOffice Language Features, but for detailed information on adjusting these preferences go to the OpenOffice Help menu and enter "Asian languages" and "Asian typography". Again, I'm no Linux expert but if you need help with something just contact me and I'll do my best to figure it out with you.